Gamma radiation is electromagnetic in character. It sits at the high-energy (~103-105 keV), short-wavelength (~10-12m), end of the electromagnetic spectrum, shown opposite. 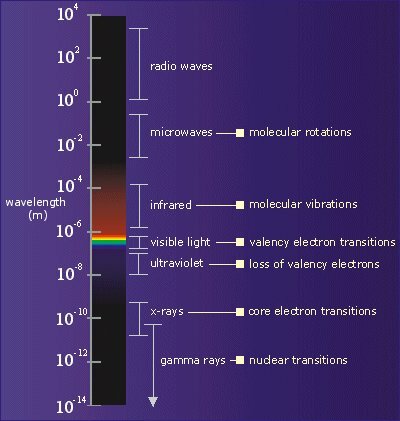 The phenomena responsible for different types of electromagnetic radiation are also detailed. There is some overlap between higher energy x-rays and lower energy gammas; different names are used merely to indicate their origin.